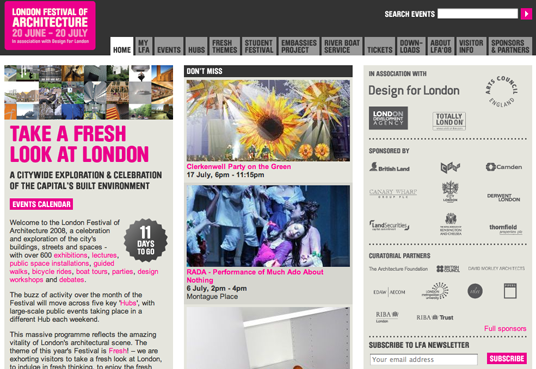 In a few days – on the 20th of June – the London Festival of Architecture starts and will go on for a month. The program is overwhelming (including events/hubs/themes/tours/projects..), I will write more after I’ve seen it. Go and check their site: http://www.lfa2008.org!